The N.Y. Lake Jewelry collection features handcrafted necklaces, earrings, bracelets and rings. Each lake's piece reflects its unique beauty and radiance as seen in the state of New York. More N.Y. lakes are available in-store! Currently, only necklaces are available online. Shop bracelets, earrings and rings in-store. Handcrafted Seneca Lake jewelry available with or without diamonds in 14k White Gold, 14k Yellow Gold, 14k Rose Gold and Sterling Silver. 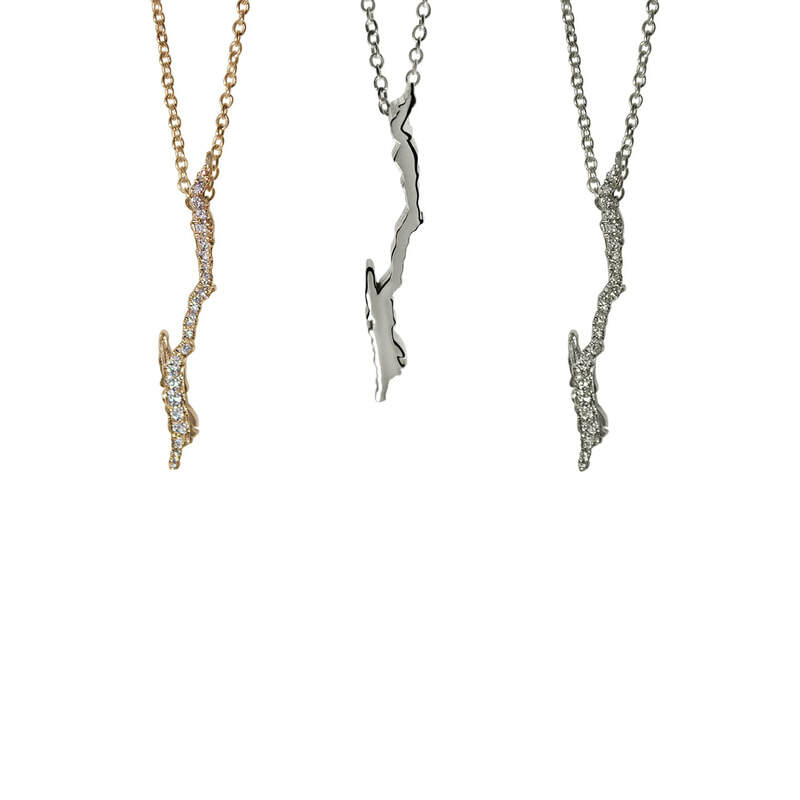 Handcrafted Seneca Lake jewelry available in 14k White Gold, 14k Yellow Gold and Sterling Silver. 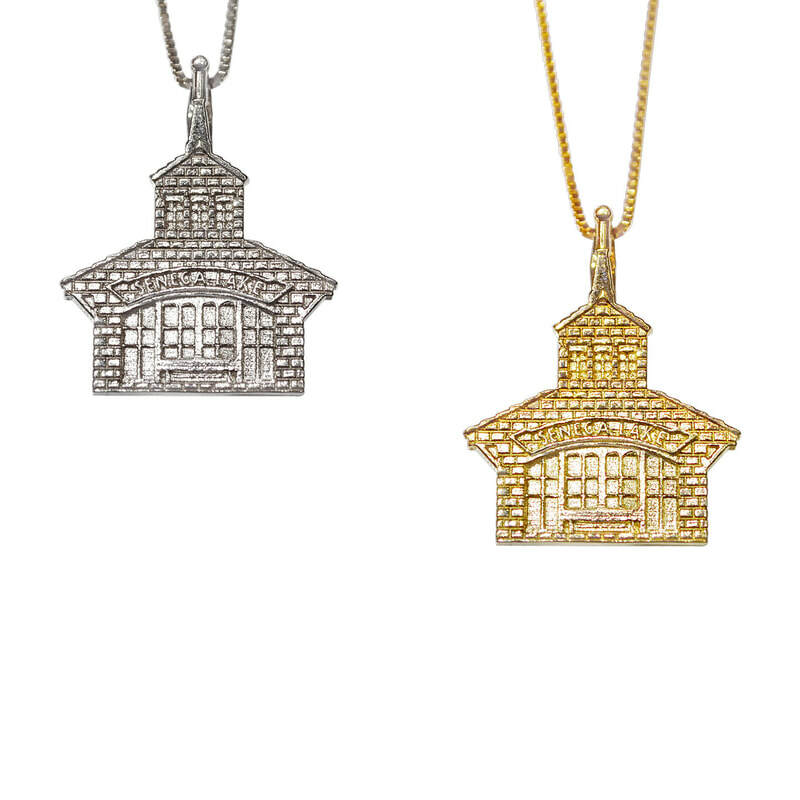 Handcrafted Lake George jewelry available with or without diamonds in 14k White Gold or 14k Yellow Gold, and ​Sterling Silver. Handcrafted Keuka Lake jewelry available with or without diamonds in 14k White Gold, 14k Yellow Gold, 14k Rose Gold and Sterling Silver. Handcrafted Cayuga Lake jewelry available with or without diamonds in 14k White Gold, 14k Yellow Gold, 14k Rose Gold and Sterling Silver.